Many of us like to sleep on their side. There isn’t much choice about how one would sleep. A person can be a stomach sleeper, a back sleeper, or a side sleeper. To get more creative than that… That would be possible, but far from simple. And unneeded. Generally, anyway. Astronauts’ bodies, for instance, do not experience any effects of gravity when in space, so they are neither at the time. However, not all of us get to sleep freefalling, so each of us is either a side sleeper, or a stomach sleeper, or a back sleeper. In either case, a mattress to cushion the sleeping surface would a nice addition to the bed. But depending on what position you prefer to sleep in, the choice of the best mattress becomes a not so obvious process. You’d be surprised at how many factors one has taken into account, and how many of them require specific knowledge. Am I a side sleeper? The thing is, despite what you might believe, you may actually have no knowledge of if you’re a side sleeper or not. Unless there is someone to tell you of that, there is almost no way for you to find out (other than resorting to setting up a camera and the like). You may drift off while lying on a side or wake up that way, but it is entirely possible for you to sleep on your back (or stomach, for that matter) when you’re actually sleeping. The opposite is just as possible. You may fall asleep in any position, and turn to sleep on your side when you’re no longer conscious. In my opinion, one may be called a side sleeper (or any other kind of sleeper, really) when, and only when, they actually sleep in that position, rather than find it the most comfortable to fall asleep or wake up on their side. Why does it matter if I only fall asleep in a certain position? You see, it does not take long for a person to fall asleep. Granted, if they feel uncomfortable in the position they use trying to fall asleep, they probably would stay awake for a long time, and insomnia is not something we want either. But, initial comfort aside, it is your comfort during your sleep that matters most. The comfort for your body when you’re no longer awake. You might not feel anything special when your head lies on your arm and you’re falling asleep, but you would most certainly feel the unpleasant sensation of pins and needles (or an even worse and terrifying feeling of a “dead arm”) if you have been sleeping that way for hours, even if you wake up on your back. What’s so special about side-sleeping? It is not any more special than any other position, per se. As a matter of fact, it is the position most people sleep in. If you consider that special, then it is. Anyway, it’s really simple. You either are a side sleeper, or you aren’t. Of course, there are some benefits and drawbacks, just as with anything else. Even if not a natural side sleeper, this position is beneficial for soon-to-be mothers. Sleeping on a side is good for the lower back for pregnant women, since, usually, pregnancy can cause immense physical stress on the back, more so for when the future mom is sleeping on it. And sleeping on the stomach is not even an option, as you can guess. Many people are natural side sleepers. It is a healthy position. Depending on how exactly you sleep, you might experience your limbs “falling asleep,” since you’re lying on them. This happens from time to time with many side sleepers. To prevent that, you want to get a mattress that would allow your arm to sink into it so that it would be relieved of pressure. Another common problem of side sleepers is that their hips and shoulders can be easily misaligned with their spine. That happens both when the mattress is too hard and when it is too soft. A mattress that is too soft would easily give in to the pressure of your hips and shoulders. The problem is, it would also give in to the pressure of your body as a whole. Which would lead to your spine being bent and a very terrible back pain. A hard mattress would simply not give in enough. Your shoulder and hip would be suffering from your own weight. That is not to say that side sleeping is bad in any way. The truth is, it is one of the most comfortable and healthy positions (not that there are too many to begin with). Anyway, even when sleeping on a side, there is still some variety. You may prefer fetal position or you may just lie on your side. What is a mattress for a side sleeper? Now that is a good question. A mattress for side sleepers is not something that would bear such a name. 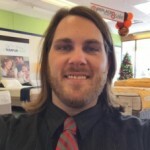 It’s not like with memory foam mattresses, or latex mattresses, or innerspring mattresses, or even with the best crib mattresses, mattresses for adults, mattresses of different sizes… Unlike their distinctive qualities, such thing as the position a person sleeps in is something feasible in comparison. But, generally, you’d want something that gives in and, at the same time, is firm enough. 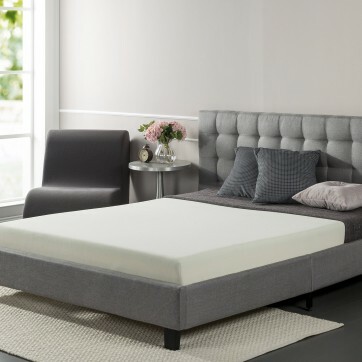 If you’re thinking about memory foam, you are absolutely correct, but do not forget that there are other kinds of mattresses, that would still provide needed support to side sleepers. Let us open the list with this mattress. It is not a memory foam mattress, as you can see; it is made primarily of latex. Obviously, it’s hypoallergenic and anti-microbial. But that is not the most intriguing part. The important part is it doesn’t just come in 6 sizes (Twin, Twin XL, Full, Queen, King, and California King), it also comes in 4 comfort levels: Firm, Cushion Firm, Plush/Medium, and Ultra Plush/Soft… And, there is a fifth “comfort level” on Amazon.com, but it’s more of an option than an actual level. You can get help from an expert, that’s what it is. Yes, you’ve heard it (well, read it) right, if you’re not sure about firmness, if you’re not sure what you need, the seller offers you an assistance. You can try ordering the mattress on Amazon.com and make sure if it still is so. As you can guess, there is not much I can say about the mattress softness or firmness since those can be… different, really. Depending on what exactly you order, it’s either very soft or very firm. One thing I’m sure about, it works magnificently for side sleepers, provided you choose what’s right for you. Personally, I would suggest the cushion comfort level. The mattress has a stretchy bamboo cover and is ten inches thick. Quite impressive, more so for a latex mattress. Would be, if most of the height of the mattress was formed by the height of the latex layer. As it is, however, Talalay Latex is only three inches thick. I believe, this would be enough for memory foam, but for latex… Still, not bad, but nowhere near the ten inches. On the other hand, six inches are taken by the base foam, and it is six inches thick. 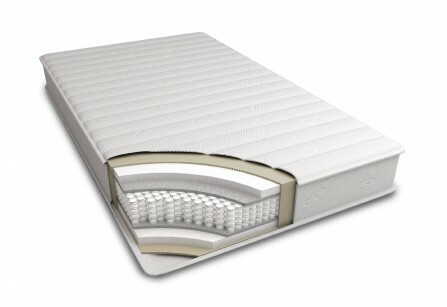 It is also a high-density foam, so it does not allow the mattress to bend too much. Comes in 12 sizes: Twin, Twin XL, Full, Full XL, Short Queen, Queen, Olympic Queen, Split Queen, King, California King, Split Cal King, and Split King. Like the previous one, this one has a bamboo cover as well, but other than that, they are quite different. For starters, this mattress is 13 inches thick, that’s 3 inches thicker than the other one. And, it is not made of latex at all, it is a memory foam mattress. 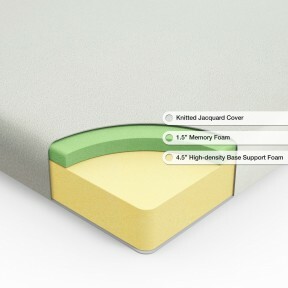 A memory foam mattress is the first choice of side sleepers. Just like any other memory foam mattress, this one conforms to your body’s outline and taking its shape. That means, your arms would sink into it, and you wouldn’t have to worry about them growing numb. The bamboo cover is water repellent but not waterproof. Meaning, it won’t soak water itself, but would also let it through. The mattress is soft for a memory foam one. While it may be good for your arms, you would be risking some back pain. It does provide support, but it also gives in, perhaps, way too much. But if you do prefer sleeping soft, and you’re a side sleeper, then this might be your best shot. So, if that really is so, don’t hesitate and visit Amazon.com to get it right now. 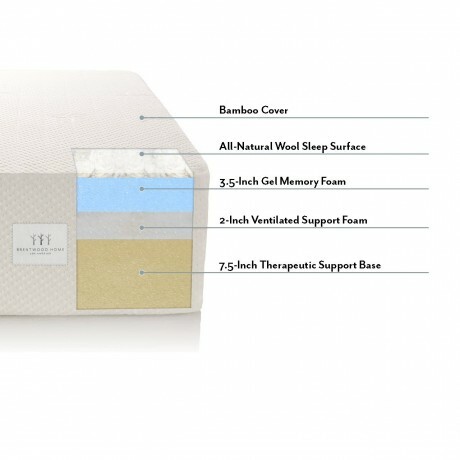 Do note that it is gel infused, so if you don’t like regular memory foam for hot sleeping, you might want to try out this mattress, as it is cooler to sleep. Another memory foam mattress. This one is two-layered, and it is made of high-density foam. Comes in seven sizes: Twin, Twin XL, Full, Short Queen, Queen, King, and California King. I’ve already done a review on this mattress for the list of the best memory foam mattresses. You can read it here. But you don’t really have to since I’m perfectly okay with repeating myself. The price is not one of the mattress’s fortes, but I wouldn’t call it expensive. The odor, on the other hand, disappears rather fast, and the mattress doesn’t smell all that much, to begin with. It is a high-density mattress, so it is perfect for side sleepers. While it may be firm, it also contours your body when warmed up. If you’re a side sleeper and want to get a comfy mattress, hesitate and get it on Amazon.com. But, please, be warned that there might be a possibility of heat-traps. I’ve already done a review on this mattress as well. So let me be brief. The mattress comes in five sizes (Twin, Full, Short Queen, Queen, and King), and, let’s be frank, it’s expensive. But, while expensive, it is really good, more so for side sleepers. It is a heavy mattress, but if you want it for your main bed, that won’t be an issue. What’s more important, it has a relatively thick memory foam layer and a support layer made of unique foam. It is also a mattress you don’t have to unpack the moment it arrives, as long as the package is sealed airtight. As I’ve already said once, you don’t have to wait until you move to your new home to order the mattress, you can do it now. Check it out on Amazon.com. And, surprisingly, the first place goes to a spring mattress rather than one made of memory foam. One would expect that memory foam mattresses are best suited for side sleepers. But we need to remember that memory foam is a recent invention, and there always have been side sleepers. How do you think they got by? 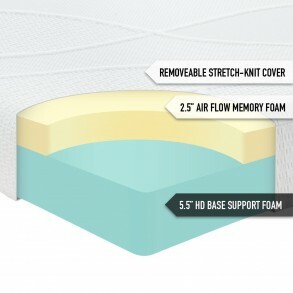 Memory foam offers an easy way for manufacturers to fit in. It’s really perfect for them to work with, since it, basically, already is what a person needs to sleep comfortably, they only have to care about its shape and density. But, while that is true, other types of mattresses have been in production for who knows how long. Now, this mattress is 8 inches thick, which might seem not that impressive, but let us not forget this is springs we’re talking about. For them, this is quite a thickness. 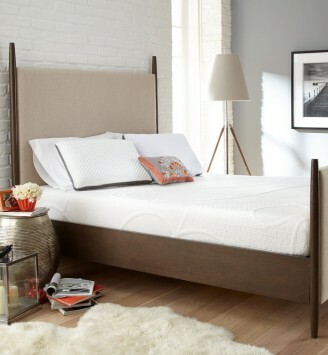 Despite not being a memory foam mattress, it provides perfect support for vertebrae, so it is not only fit for side sleepers but for back sleepers as well. 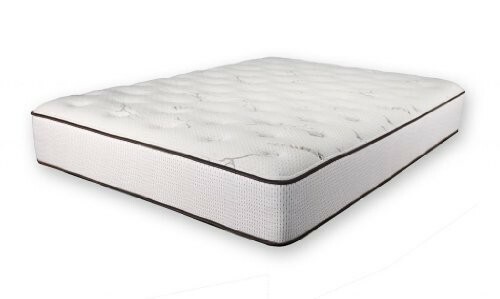 Aside from the spring, the mattress also has comfort foam, so that you wouldn’t feel the springs themselves. The mattress is bouncy, but despite that, you would not feel your sleeping partner move. In this department, it is just as good as some of memory foam mattresses. But since it is not one, there are some peculiarities. The springs at the edges of the mattress are not any harder than the other ones. That makes its softness more uniform but also makes the edges give in when you lie close to them so that you might end up falling off the bed. It’s a structural drawback. Otherwise, the mattress is quite good, especially for side sleepers. Check out more than 4,000 reviews on Amazon.com if you’re yet to make up your mind. Most mattresses for back sleepers are made of memory foam. Most are, but it doesn’t mean all of them are. You already know I have given the first place to a spring mattress. 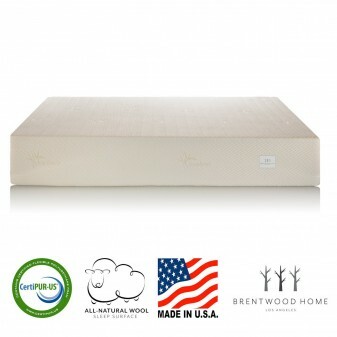 It is no accident since, while memory foam is naturally the best choice for side sleepers (if you’re a side sleeper and you don’t know what you want to get to sleep on, get a memory foam mattress), craftwork is also important. You want a thick mattress, one that gives in just enough to support you but, at the same time, would not bend under your weight.